One of my favourite things is to get letters and e-mails asking questions about pennies and about my website. I decided that I should share this feedback with everyone - likely someone will ask a question that you’ve got in your mind! If you have any questions or comments about my collection, please e-mail me at rick@deepskies.com. I’d be glad to hear from you! How do I know if my 1965 penny is worth money? Please message me back. Is it a 1965 Canadian penny? If so, it could be worth up to $25 (maybe more), but more likely it will be worth $0.01 to $0.15. To make sure, you should take it into a coin shop and get it appraised. I'm curious to know the origin of "Canadian" pennies from 1858 and 1859. Canada wasn’t even a country until 1867 so I'm intrigued by the designation of Canada on the coins. I'm relatively new to coin collecting and apologize for the naïve question but I'm eager to learn. That is a good question! I believe the British referred to Canada as Canada even before confederation (I recall learning about upper and lower Canada way back when!). From what I understand, prior to 1858, money used in the Canadian colonies was a mix of British, US and Spanish money. I believe the British minted a whole heap of 1858 and 1859 coins, in the hopes of stabilizing the economy in Canada. Because they minted so many coins, it wouldn't be until 1876 that Canada would need new ones minted. I hope that helps! Thanks! I think that there is a typo on your site - when you select the year under the heading "What's My Penny Worth", the first year listed is 1958 and I think you meant 1858. I could be mistaken as I haven't used your website very much, in which case I apologize. Thanks for an interesting site. Thank you so much for letting me know about that! That website has been up for years and years, and nobody (including myself!) ever caught that mistake. Thank you again. I really do appreciate it. I have a 1887 Victoria penny in pretty good condition. I’m taking to my favorite coin store to have it looked at this Saturday. I’m really not a coin collector at all. Now Silver that’s’ my week spot. I’m more of an investor than collector so no matter what, this 1887 Victoria penny will never be as meaningful to me as it would be to someone like you. A fine (F-12) grade 1887 is worth about $8, and that’s more like what I’d probably pay. Besides, I don’t have a 1 ounce silter canadian maple leaf to trade! Thanks anyway, and best of luck! I have 1887 penny VF. Is it worth anything? Take it in to a coin store to be sure. Thanks! I’m not a collector but have been putting pennies in rolls and just decided I should check the 20 rolls I have on my desk to see if there are any interesting things in them. Have separated and held back ones from the 1970s back, Canadian and US. Also wondering what the term Maple Leaf beside the 1947 penny was about. Maybe a change during the year but then the maple leaf shows up on Elizabeth pennies following George. Then there was a line about ’Shoulder’ but can’t find it just now, so again explain please. Are you interested in buying bulk? 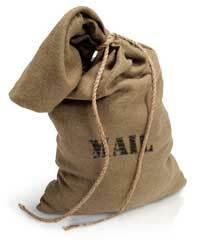 If so I’ll send you my dated list of pennies. Pic enclosed of the 2 George pennies. Maybe you can advise as to what grading category these might fit in to give me a more clear idea of grading the coins. In 1947 some pennies have a small maple leaf after the date, signifying these coins were actually struck in 1948. This happened when there was a pressing demand in early 1948 for coins of all denominations, yet the mint was still waiting on the revised dies for 1948. Thus, it was decided to modify the 1947 die with the small maple leaf, to allow coins to be produced. Starting in 1953 and then for the two years following, there were two different versions of Queen Elizabeth on the coins. The initial issue had a high relief portrait on the queen that did not strike well. The relief was lowered and the design enhanced to improve the strike. The result was that the should strap of the Queen’s dress was almost invisible in the first issue, and quite noticable in the second issue. The differences in value of those coins depend on whether the should strap is present or not. I don’t buy pennies in bulk myself - but if you take them to a coin store, they may be interested. I had a look at your two King George VI pennies, and I’d grade those as somewhere between G-4 and VG-8. The design is still evident on the coins, but most of the fine details in the King’s hair and around the ears has worn off. Still a nice, sharp pair of coins! I’d keep those if I were you. I hope that helps. Good luck with your collection! I have two penny coins with no engravings on them. I came across them inside a roll of 50. 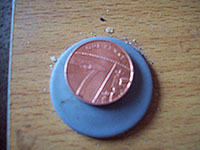 They have the usual outline of the penny coin on both sides but without the engraving on the smooth surface. Would they have a value of a kind to a collector? It depends on what kind of blanks they are. If they are just solid disks, they are called blanks and probably aren’t worth much. If they have the rims, but are otherwise blank, they are called a planchet and may be worth a bit (maybe 25 cents to a dollar?). If they have a rim and have some but not all of the design struck on them, then they are mis-strikes and could be worth quite a bit. Do you have a coin store in your area? If so, I’d take them in and ask for an opinion there. I’ll have to keep an eye out and see if I have any in my jars of pennies! It turns out I had the coin confused with the 1992 cent. I was excited to have thought about mading a discovery! Thanks for letting me know about your collection. I started a second collection at work by just going through the pennies that were in my car. I have almost every penny from 1960 to 2009 by just going through loose change! I also found a 1940 and 1950 - sweet! I was suprised that it took me quite a while to find a 1990 penny - I’ll have to check and see if there was a low mintage that year or something. You’ve got a 1955? That’s pretty sweet. 1953-1955 had some special/rare versions, and you might have one of them. 1924-1927 are some of the hardest small pennies to find. I used to have a 1924 (it’s on my site) but I lost it one day while looking at the pennies with my kids. Likely it was used to buy bubble gum or something! Imagine someone else’s surprise when they look through their change and find a 1924 penny! I’ll have to go buy another one likely. I happened upon your webpage by chance and it was interesting to see that you started out with the cardboard folder booklets. I started collecting pennies at a young age myself and strangely enough, I still have those blue booklets with the cutouts. I gave up collecting seriously years ago but recently got the urge to continue. Unfortunately, it’s going to be difficult finding pennies dated 1936 and prior at the bank where I used to spend many hours as a youth. Guess I’ll have to deal with the local coin dealer now. Anyway, you have a nice collection and I also prefer average circulated coin. The coin dealers aren’t too bad - at least the one’s I’ve been to. Yeah, they’ve got those pristine pennies for $25 and up, my guy in Barrie also has a book of rough/cheap pennies where I got a lot of my large (pre-1920) pennies for on average less than 10 cents each. I am still stunned how often I pull out an old (pre-1950) penny out of my loose change. Seems to happen once a month or so! LOL! Thanks for your e-mail! Sorry it took me so long to respond, but I just found it in my Inbox! WOW! Anyway, that sounds like a pretty nice collection you have. I am certainly going to check out your website right now. I was googlin the canadian penny online and seen your site. I was wondering if you could tell me why or what a penny with a harpe i think is on it and part of a lions paw on one side and the queen on back its date is 2008. was just wondering why it is like that. i have not seen one like it before. curious i guess lol thank you for any help in answering it. Did I reply to you on this question before? I think I did, but I don’t have the sent copy in my Inbox. I had a look at the pictures you sent, and I can say that it’s not a Canadian penny. I don’t know what country it’s from, but if you take it to a coin dealer, they will certainly be able to tell you.